Big changes are coming to our waterfront – the world’s largest-diameter bored tunnel; a new seawall that protects our city and improves habitat; and 26 blocks of new parks, paths and public space. 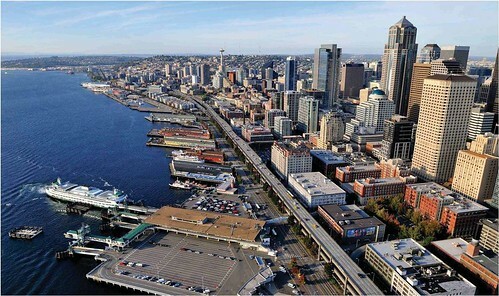 Join the SR 99 Tunnel Project, the Elliott Bay Seawall Project and Waterfront Seattle at a full-day event at Seattle Center to discover how these projects are working together to transform Seattle’s downtown waterfront. Noon to 6 p.m. – Explore interactive models of the SR 99 tunnel boring machine, the existing seawall and conceptual waterfront designs. 6 p.m. to 7:30 p.m. – Geek out on project details during a presentation and discussion with agency directors and industry experts. This event is part of Seattle Center’s The Next 50: Celebrating the 1962 World’s Fair and its Legacy. Click here for more details.